Maintaining your cars, trucks, buses, vans, and semi-trucks can be challenging. Regularly changing the oil in your vehicle is one of the most effective, easiest, and affordable ways to protect its engine life. Grimm’s Automovation has years of experience in oil and lube, and chassis services for all makes and models, as well as sizes of vehicle in Frederick, MD and surrounding areas. We offer complete auto repair and truck repair service in addition to routine maintenance, oil change, and lube service. 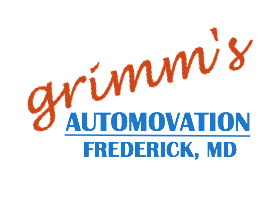 Grimm’s offers oil change service in our Frederick MD auto & truck repair facility. We serve all of Frederick County, MD and surrounding areas including: Middletown, Thurmont, Brunswick, Urbana, Libertytown, New Market, Mt. Airy, Myersville, Adamstown, Buckeystown, and Urbana.